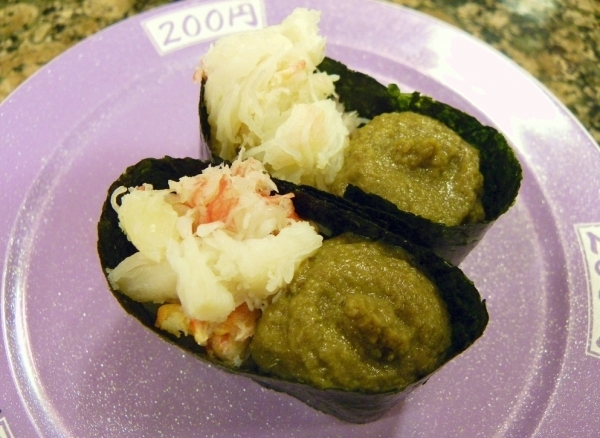 Japanese Mitten Crab or Mokuzugani/藻屑蟹 in Japanese is also called Mokuzou, Zugani, Tsugani or Kegani. 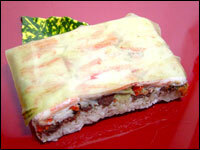 It is caught alsmost everywhere in Japan in Autumn and Winter. 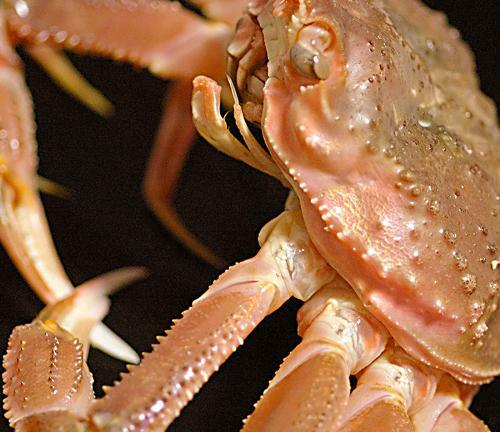 Takaashigani/高足蟹, literally meaning “Tall Legs Crab” is the largest crab in the worldand is caught almost only around Japan especially in the Suruga Bay In Shizuoka Prefecture and Izu Islands, but numbers of the crab have diminished over recent years, and there are many efforts to protect them. In Shizuoka Prefecture, people even help them grow from the eggs before returning them to the sea! Fully grown, it can reach a leg span of almost 4 m (13 ft), a body size of up to 37 cm (15 inches) and a weight of up to 20 kg (44 lb). 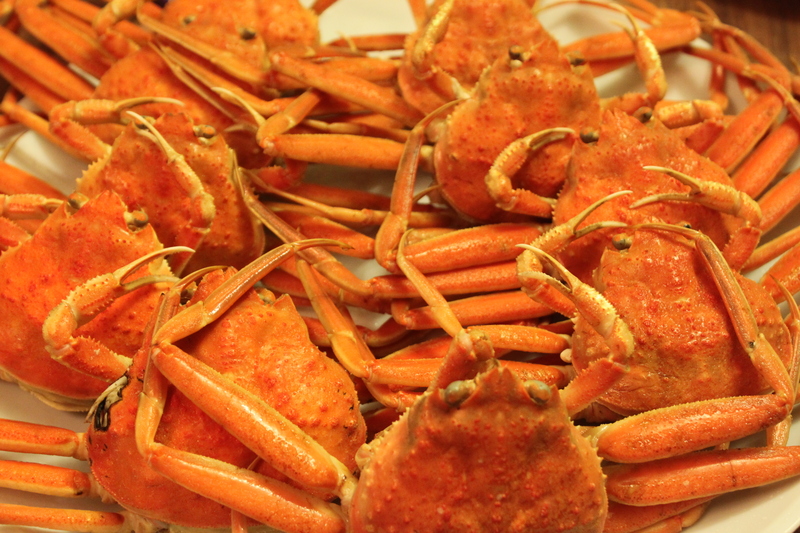 The crab’s natural habitat is on the bottom of the Pacific Ocean (some 300 to 400 m deep) around Japan, where it feeds on dead animals and shellfish. 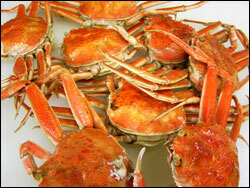 It is believed to have a life expectancy of up to 100 years. 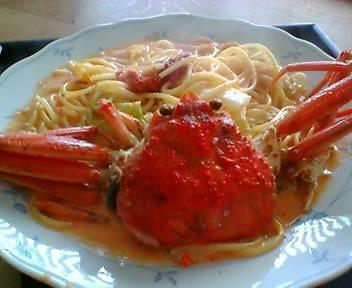 Tarabagani or Red King Crab/鱈場蟹 is caught in Autumn and Winter. 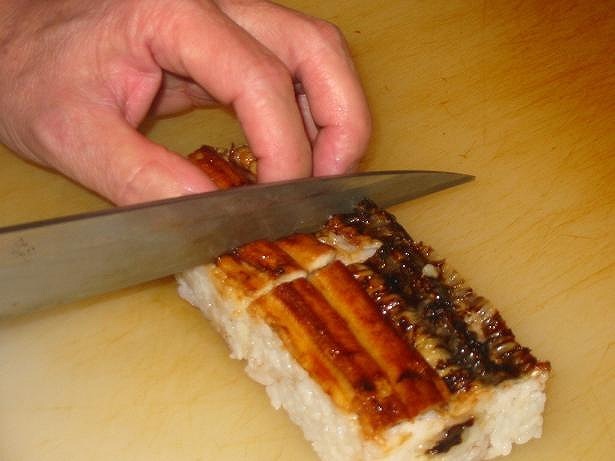 As Chirashizushi it should please anyone! 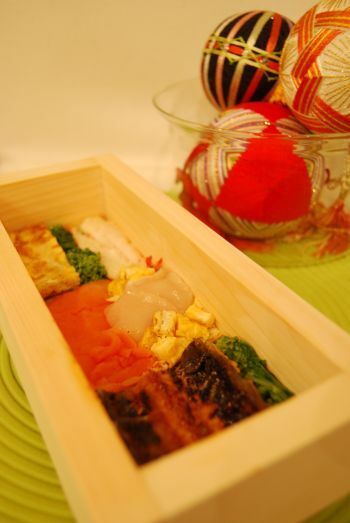 And how about a great soup with miso!? 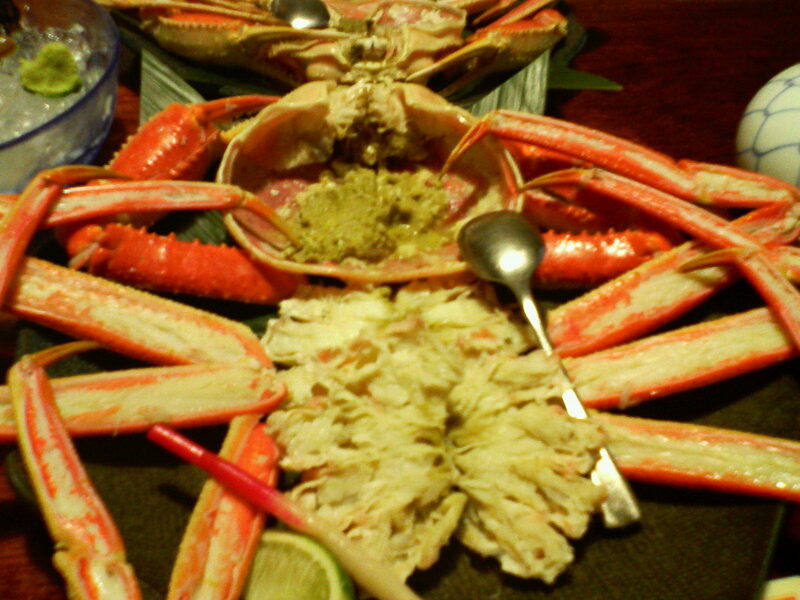 Snow Crabs, or Zuwagani/楚蟹 in Japanese, are very popular not only in Japan, but also in Russia, Canada and many other countries. 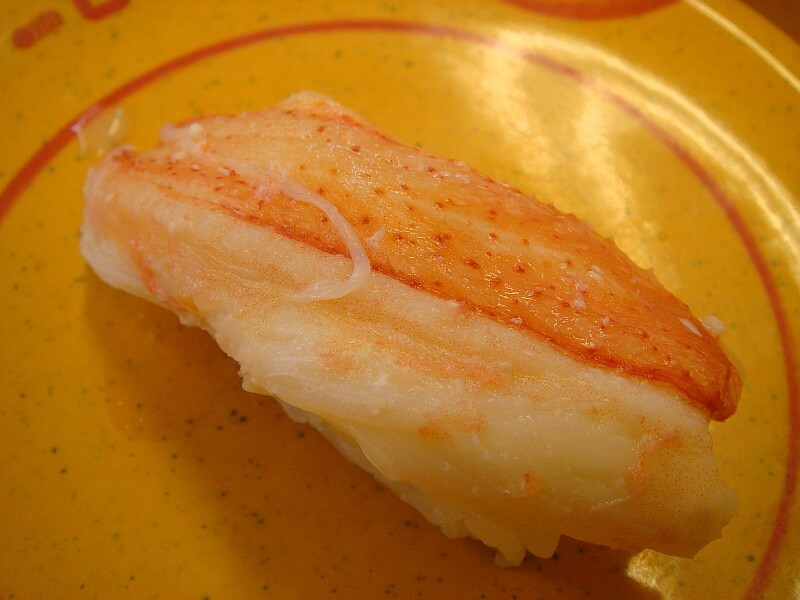 Their number has decreased in the Japan seas down to a yearly catch of 5,000 tonnes while 60,000 tonnes are imported from Russia and Canada. 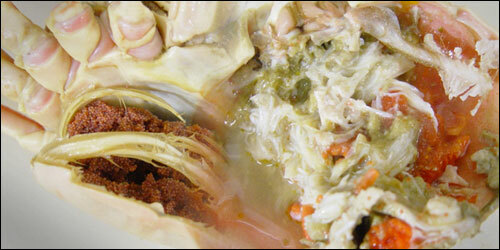 The underbelly of a female snow crab is flatish. 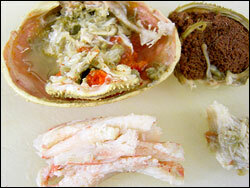 When buying a female (10 times as cheap) snow crab, choose a specimen with as few eggs as possible. Above speciman just has too many! 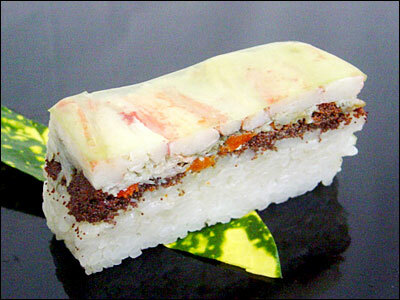 Cheaper varieties can still make for some remarkable gunkan sushi combining the boiled white flesh and “miso”/brains! 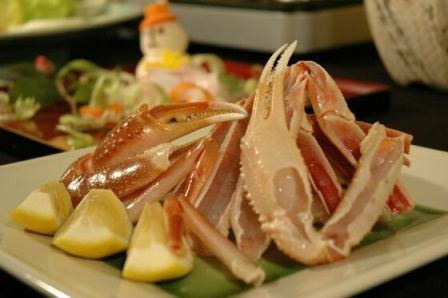 If the Japanese can get their hands on the whole crab, they will simply boil it and eat the meat directly out of the shell with a sweet vinegar dressing. 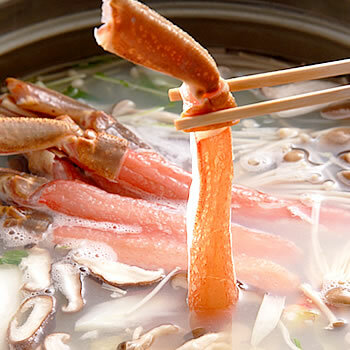 The same can be savoured in shabu-shabu! 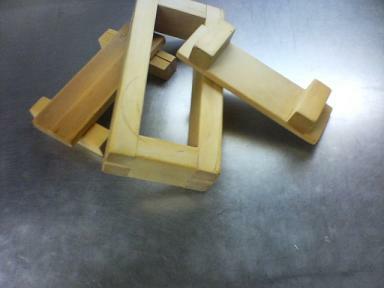 Italian restaurants in Japan regularly serve them in pasta!